The 1300mm refers to the length of the hot wire, our smaller 150mm & 480mm cutters has been one of our best sellers but we have had increasing interest from customers who need something even bigger, so this is it. We've mentioned that the hot wire is 1300mm long but it also has a reach of 400mm, the reach being the distance from the hot wire to the black frame. Like all our cutters this is perfectly balanced and ergonomically designed for easy to use, we believe this together with it's robust and sturdy construction makes this unit perfect for the commercial market. The unit also utilises the push to heat button that we have used on our other designs, what this means is that the red button on top of the control box has to be held down to heat the wire. As soon as the button is released the wire will cool down, this ensures that the unit is never left on whilst unattended which we believe is paramount to ensure safety for this type of tool. 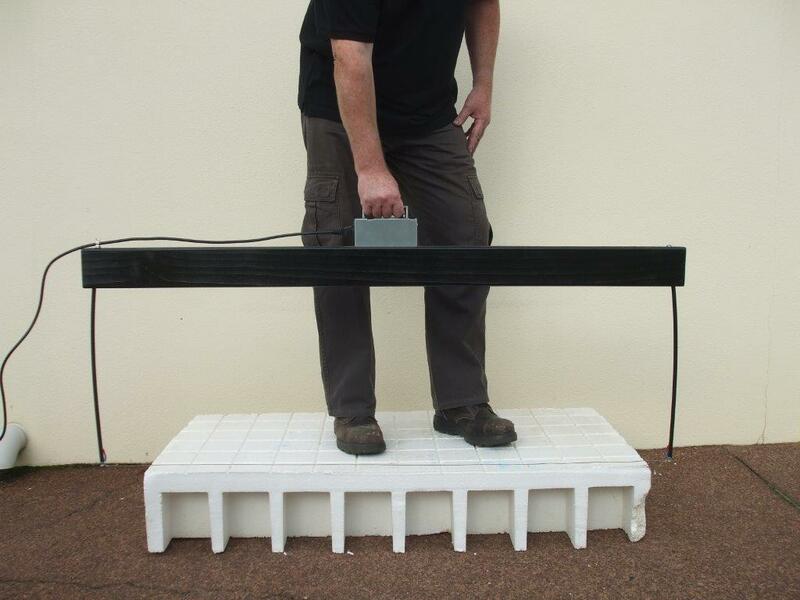 This unit has been designed for cutting the polystyrene pods used under concrete slabs, and it was specifically designed to meet the demands of the Christchurch rebuild. This cutter will eliminate the mess made when trying to use a hand saw or even a chainsaw, not to mention the time that is wasted trying to sweep them up, plus those small bits float on top the water in drains which leads to blockages & more expense. If trying to use a hand saw for long periods then your arm will soon tire, with this you can cut all day making it so much quicker. 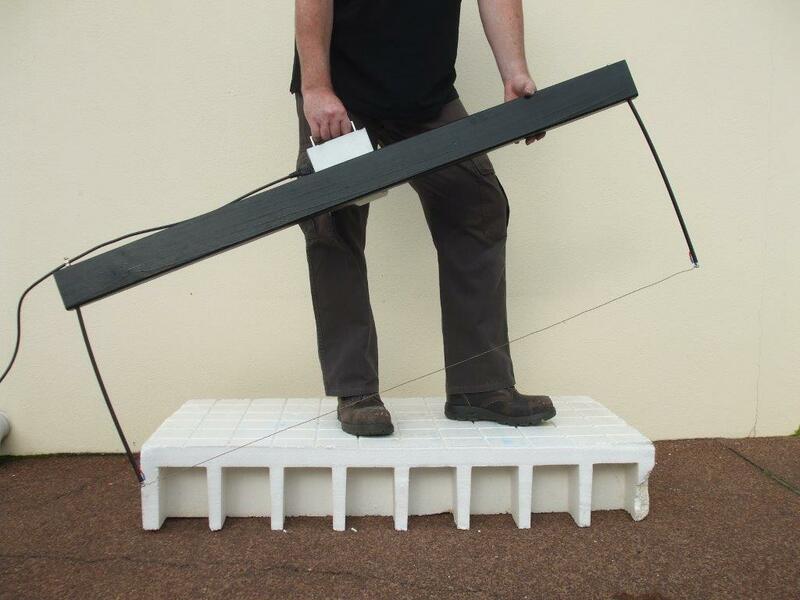 It's also great for creating a scoop cut for embedding pipes etc into the polystyrene, see the videos at the bottom of this page. These cutters are made to order with a minimum lead time of a week. Please check the label on your hot hot wire cutter to find out what size hot wire you require. If you are still not sure what size then either measure it yourself or email us & we maybe able to track down the size from our customer database. This spare wire is designed to fit our 1300mm hot wire cutter. It comes complete with crimps on either end for easy assembly. This option is for people buying a new 1300mm hot wire cutter, we will sort out the correct size for you. Do not use or leave this cutter in the rain.